Ocean Group Playgroup is trying to educate and excite their members- young and old- about the benefits of healthy eating by taking their kids straight to the source, which is virtually on their doorstep. Lomas Orchards, located on Wallington Road, and established in 1938 is still being farmed by the fourth-generation of the same family. The staff at Lomas warmly welcomed the playgroup kids who did a tour of the orchard, and picked (and tasted!) many varieties of apples straight off the tree. They also went strawberry picking, having no trouble filling their buckets and bellies with the abundance of berries that this warm autumn weather is producing. The staff also provided an apple tasting and education session about the large variety of apples they grow at the orchard. The kids were fascinated by the different colours, shapes, sizes, tastes and textures the fruit came in. 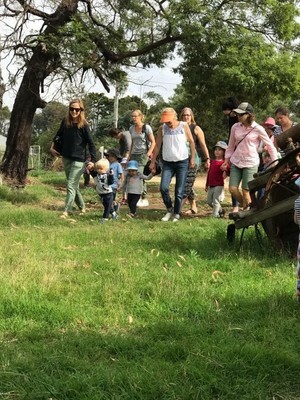 Ocean Grove Playgroup was the recipient of a Health and Wellbeing Grant from Bellarine Community Health in 2016, and has used this grant to facilitate a variety of programs promoting healthy lifestyles for kids and parents from the very early years. 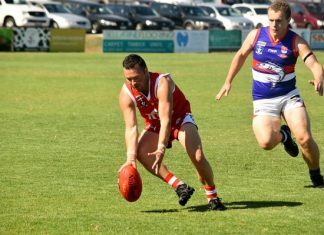 The grant has allowed the playgroup to run dance, movement, music and martial arts sessions by various groups from the Bellarine Peninsula. In addition to this, they have replaced their weekly ‘snacks’ at playgroup with a box of fruit and vegetables provided by the Ocean Grove Fruit Shop, funded by the grant. At the end of 2016, Ocean Grove Playgroup was recognised as state finalists in the Playgroup of the Year Award and for Playgroup Leader of the Year.